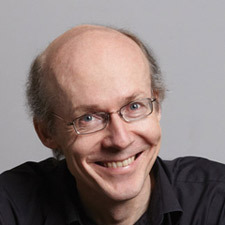 David Fallis has been a member of the Toronto Consort since 1979 and was its Artistic Director from 1990 to 2018. He has led the ensemble in many critically-acclaimed programs, including The Praetorius Christmas Vespers, The Play of Daniel, all three of Monteverdi’s operas in concert, Cavalli’s La Calisto and Carissimi’s Jephte, among many others. He has directed the group in its many recordings and tours, and has conceived and scripted many of their most popular programs, such as The Marco Polo Project, The Queen, and The Real Man of La Mancha. He is also one of Canada’s leading interpreters of operatic and choral/orchestral repertoire, especially from the Baroque and Classical periods. He is Music Director for Opera Atelier and has conducted major operatic works by Mozart, Monteverdi, Purcell, Lully and Handel in Toronto and on tour to France, the US, Japan, Korea and Singapore. He has conducted for the Luminato Festival, Houston Grand Opera, Wolf Trap Theatre, Utah Opera, Orchestra London, Symphony Nova Scotia, the Windsor Symphony, Festival Vancouver, the Singapore Festival, the Elora Festival, and the Elmer Iseler Singers. He is also the director of Choir 21, a vocal ensemble specializing in contemporary choral music, and has led them in performances for Soundstreams, Continuum, The Art of Time Ensemble and the TIFF series at the Bell Lightbox. He was the Historical Music Producer for two Showtime historical dramas: The Tudors and The Borgias.